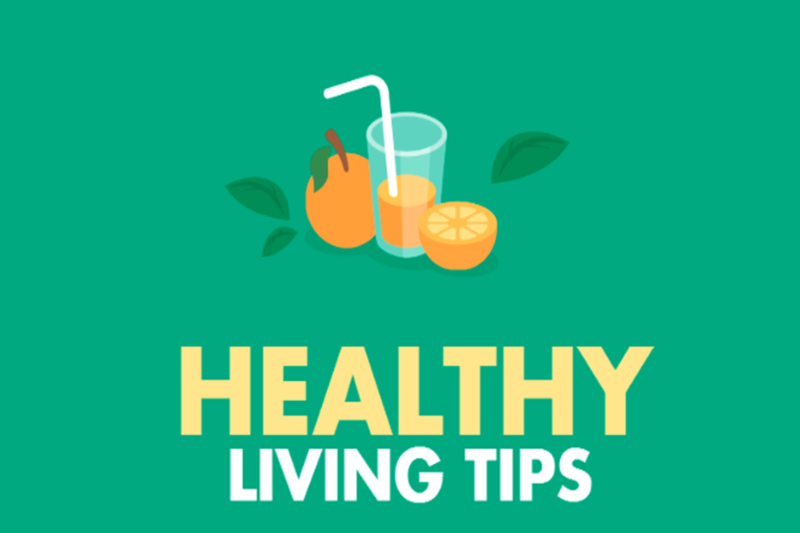 If you enjoy leading a healthy lifestyle and are always on the lookout for new healthy living tips, you’ve come to the right place. Simply continue reading to discover a few simple yet effective healthy living tips! In order to be more satisfied with the healthy portions which you serve yourself each day, it’s well worth swapping your current bowls and plates for smaller versions. Instead of relying on salt to give your meals extra flavor, get into the habit of sprinkling herbs into your meals. As an example, you may want to sprinkle lemongrass or lemon pepper onto your grilled fish. Or you may be interested in adding chilli flakes to your favorite soups. If you’re feeling adventurous you may want to treat yourself to purchasing one new herb each week, which you can then test out on your family and friends. As an example, if you consume a high-fat meal at lunchtime, you may want to opt for a low-fat dinner. Such as turkey breast and salad or grilled fish and spinach. Remember there’s nothing wrong with consuming a high-fat meal as long as you balance your diet out. Many individuals who want to increase their health or lose weight, make the mistake of adhering to fad diets which suggest eliminating almost all carbohydrates from your diet. However, carbohydrates are essential for your body to function efficiently and should be eaten on a daily basis. Some examples of healthy carbohydrates which you may want to consume include cereals, brown rice, and wholegrain bread. Unsaturated fats ensure that your brain functions properly, so it’s definitely worth incorporating plenty of unsaturated fats into your diet. Some examples of healthy unsaturated fats include olive oil, fish and eggs. In order to ensure that your body receives all the nutrients and vitamins which it needs, it’s well worth setting yourself an easily obtainable goal of consuming five servings of fresh fruit and vegetables per day. If you find it difficult to consume five servings of fruits and vegetables, you may want to consume at least 3 of your 5 servings in a healthy homemade fruit juice or smoothie. Which you’ll be able to consume on the go. If you want to increase your health level, it’s a great idea to use your lunch breaks to workout. Even if you don’t have time to get changed into a workout specific outfit, you do have time to put on a pair of walking shoes and to head out on a quick walk! So if you enjoy leading a healthy lifestyle and love making small healthy changes to your lifestyle, it’s well worth testing out some of the health tips listed above!